You search Google for an answer to a question you need answering and you click on three or four websites that look promising. Perhaps you don’t find the answer you like but there’s a link on the new page that seems likely to take you to that pot of gold at the end of the rainbow, so you click on that too. Before you know it an hour’s passed, you have 20 tabs open in your browser full of possibilities and related articles which don’t necessarily have the solution to the original question, but you’ve had a good read (and you probably have a whole host of new questions). So it was that I found myself writing about the Dulux Colour of the Year 2017 (see blog post here) and I was hunting for information and pictures on Denim Drift, and getting some straight answers was surprisingly difficult. What I did come across during that search was an excellent blog by interior stylist Lucy Gough and she listed a couple of painting-related nuggets I thought were worth sharing with you. The first is a great little time saving tip which is especially useful if you’re using several different colours and in small amounts. Line your 4in paint tray (other sizes are available – see here!) 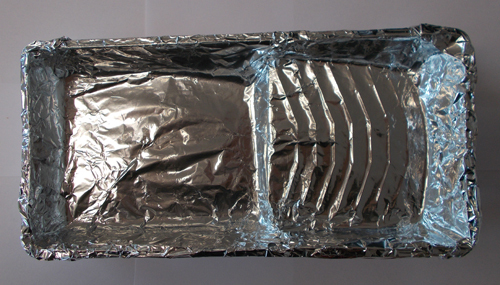 with tin foil before you pour in the paint and when you’re done you can simply throw away the foil and there’s no need to wash up the tray. The other is to wrap a large rubber band vertically around your open paint tin and wipe your brush against the rubber band to remove excess paint. It means you avoid getting drips all down the side of the tin and you have a handy place to rest your brush when needed too. The picture is of Cuprinol Garden Shades in Warm Foliage, custom mixed in our mixing room. I never did find the Denim Drift answer I was looking for but I guess it wasn’t time entirely wasted. I’ll try again sometime and no doubt end up with another 30 tabs open. Tools-paint.com sells paint, protective coatings and all related items. 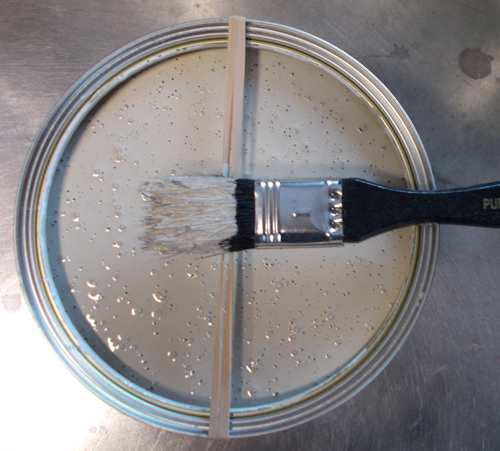 Whether you are a tradesperson or DIYer we have the paint you need at the right price.